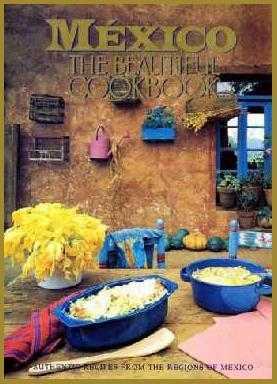 Mexico the Beautiful – Culinary Adventures, Inc.
A coffee-table book with fascinating photographs that, because of its well-tested recipes from throughout Mexico, is more often found in the kitchen than in the living room, salsa stains and all. Depicts the merger of the native foods with the ingredients and customs of the conquering Spanish. Translated into French, German and Spanish. Out of Print.